Unbelievably soft and fitted with non-skid "grips" on the bottom, these socks are great for danci.. Think outside the box! 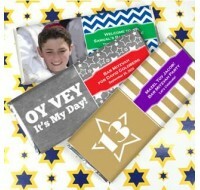 Ducky Days’ Personalized Bar Mitzvah & Bat Mitzvah Hanger Boxes are th..
Ducky Days’ Personalized Bar Mitzvah & Bat Mitzvah Breath Savers make a fresh and fantastic f.. 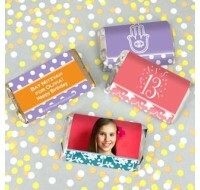 Looking for a unique favor to give your guests on your special day? 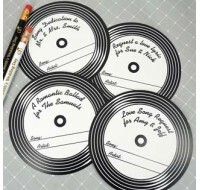 These one-of-a-kind pin-on Pe..
“For the record” Ducky Days’ personalized song request coasters are a perfect fun way to have you..
Mazel Tov! 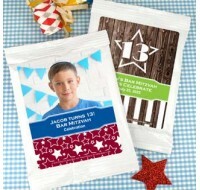 Ducky Days’ Bar Mitzvah & Bat Mitzvah Gourmet Chocolate Pretzels are a great favor..
Ducky Days’ personalized Bar Mitzvah & Bat Mitzvah Cocoa Mix favors are a warm, cozy and crea.. 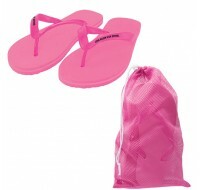 This is a terrific little favor that clips to a belt or backpack just like a rock climber's carab..
Our cushy flip flops are so comfortable your friends will want to wear them 24/7. 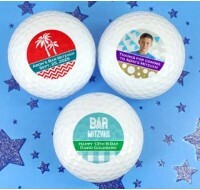 Each pair..
Tee off your celebration with these “Par-fect” Bar Mitzvah & Bat Mitzvah Personalized Golf Ba..
Festive and practical, Ducky Days has the perfect, personalized favor with our Bar Mitzvah & .. 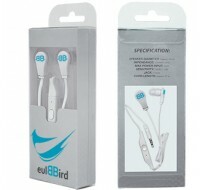 They may be mini, but they’re sure to be a huge hit! 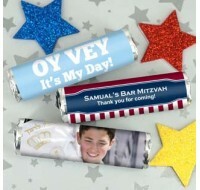 Ducky Days’ personalized Bar Mitzvah and Bat..
Add a personal touch to your chocolate favors! 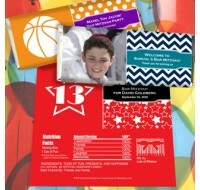 Ducky Days’ Personalized Bar Mitzvah & Bat Mit.. 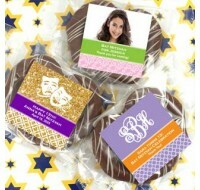 Honor the big day with a sweet treat! 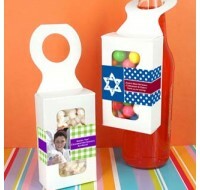 Ducky Days’ personalized Bar Mitzvah and Bat Mitzvah Hershe..